2- Handy Guide Book with details of Doge’s Palace, Basilica, Saint Mark’s square. 3- Free entrance to Music Museum and ticket for Saint Mark's Square Museums. 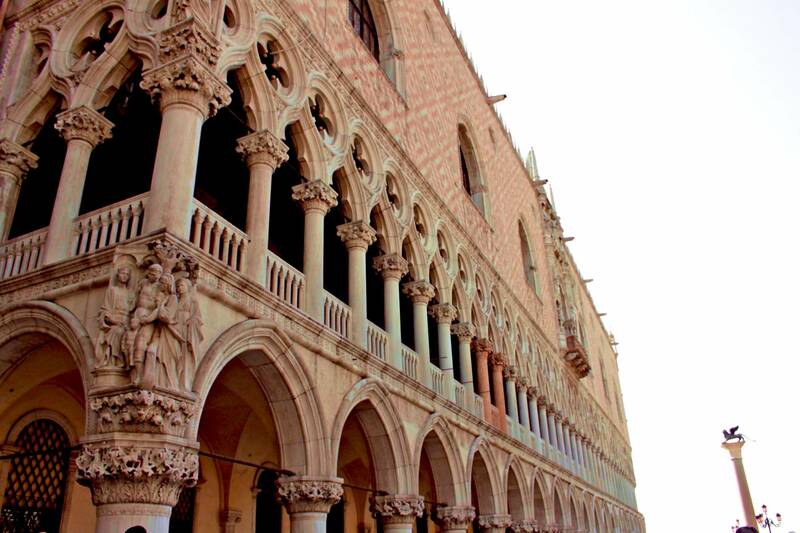 The Doge's Palace was founded after 812 in the monumental zone of Piazza San Marco. 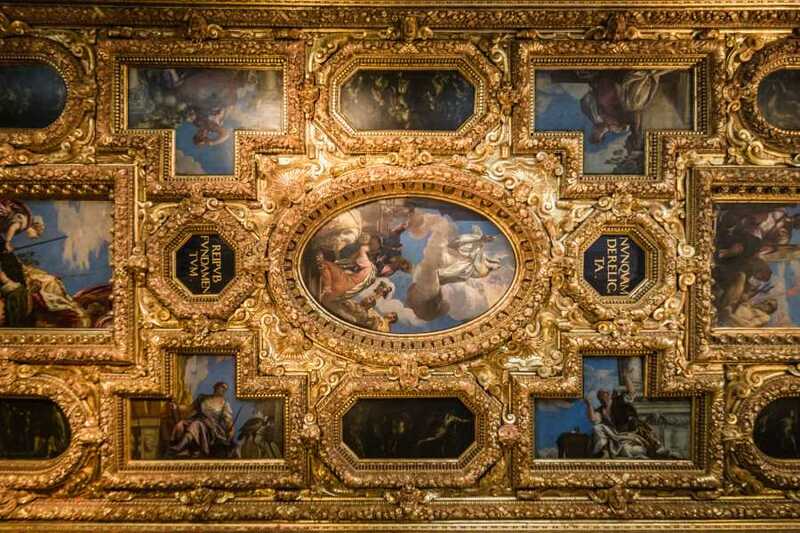 It is a masterpiece with a distinctive style inspired by Byzantine and Oriental architecture. The Doge's Palace and the New Prison are connected via a double passageway over one of Venice's most famous bridges: the Bridge of Sighs, so called because prisoners, crossing the bridge, used to sigh at the idea of seeing Venice for the last time. 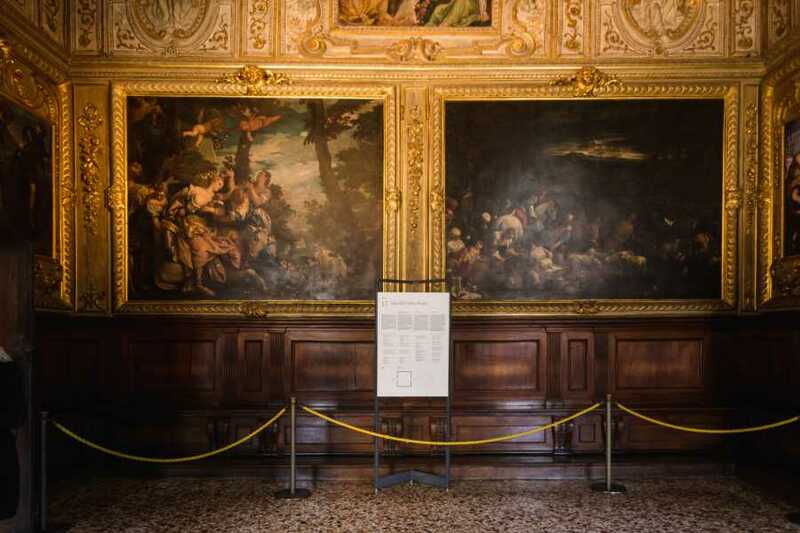 The Royal Palace - today's Museo Correr, was once the palace of the highest dignitaries in Venice: the procurators. At the far end of the square stood the Church of San Giminiano, demolished and rebuilt by Napoleon to make sumptuous salons. During Napoleon Kingdom of Italy (1805-1814), the Procuratie Nuove buildings were the Royal Palace, refurbished for Empress Elisabeth of Austria. This function continued until 1946. 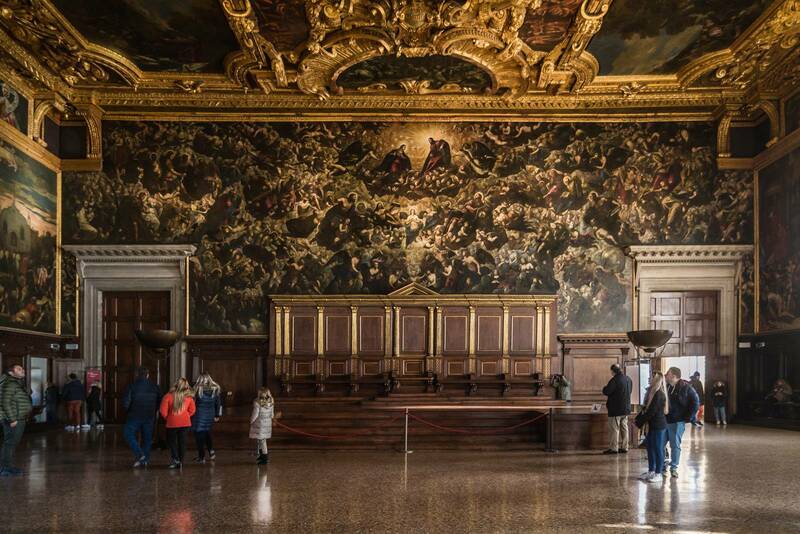 Today, in Correr Museum, visitors can learn about the Venetian way of life through sculpture, paintings, libraries and discover secrets of Venice's naval power. 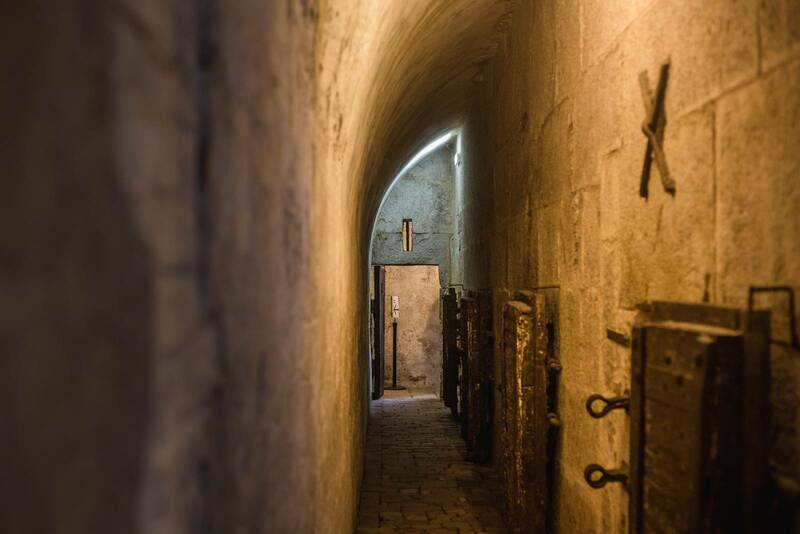 We give you the opportunity to discover an hidden treasure of the city, free entrance. Availability & operation: From April 1st 2017 to January 2020 – The service is not available on December 25th- December 26th and Jan 1st and January 2nd. 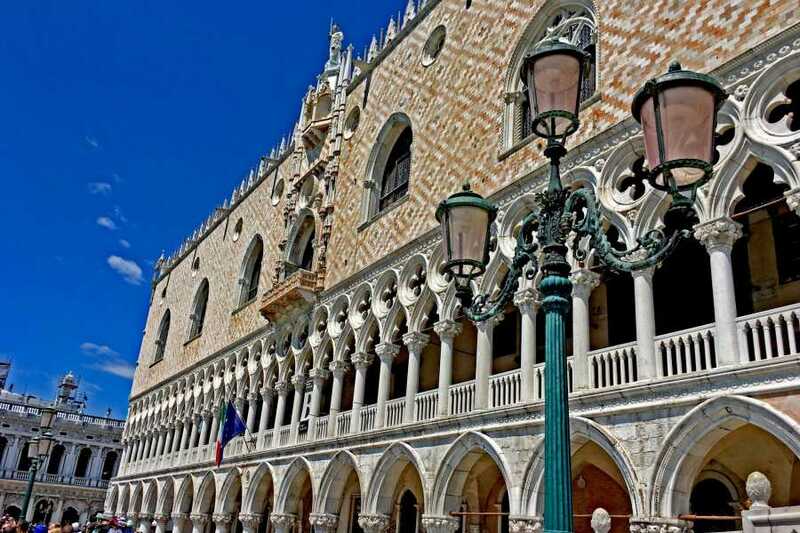 On the 25th April the Doge's Palace cloes at 1:00 PM. Departure and meeting: every day. Bookshop Museum opening hour: from 10:00 am to 7:00pm (STAFF OF BOOK SHOP SPEAK ENGLISH ONLY). 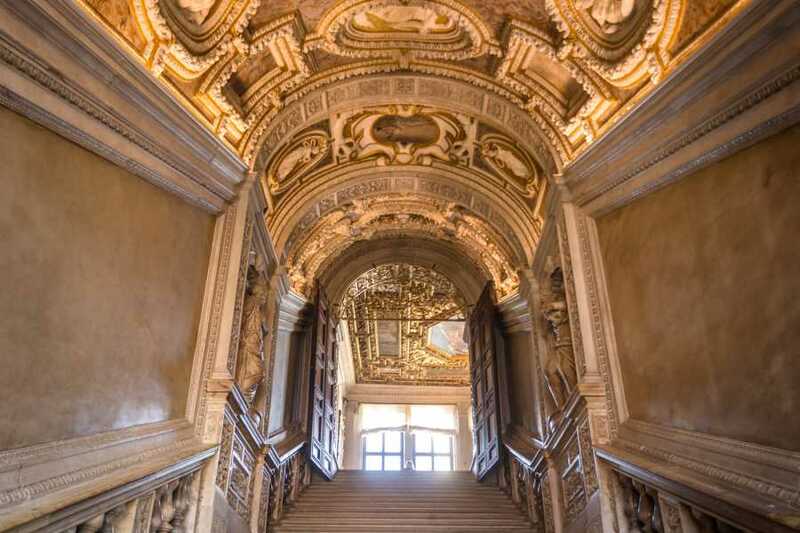 DOGES PALACE OPENING HOURS: from April 1st to October 31st. From Sunday to Tuesday: 8:30am – 9:00pm (last admission 8:30pm); Friday and Saturday 8:30am - 11:00pm (last admission 10:30 pm). From November 1st to March 31st 8:30am – 7:00pm (last admission 6:30pm). Inclusion: “Skip the Line” entrance ticket to the Doge’s Palace and ticket valid to visit yourself the palaces around St. Mark’s Square (Museo Correr, Museo Archeologico Nazionale and Monumental Rooms of the Biblioteca Nazionale Marciana) plus Handy Guide book (one for each couple or one every 2 people in case of family or group) with details of Doge’s Palace, Basilica, Saint Mark’s Square and suggestions for 7 itineraries to visit Venice. Detailed map is included with public boat transportation information. 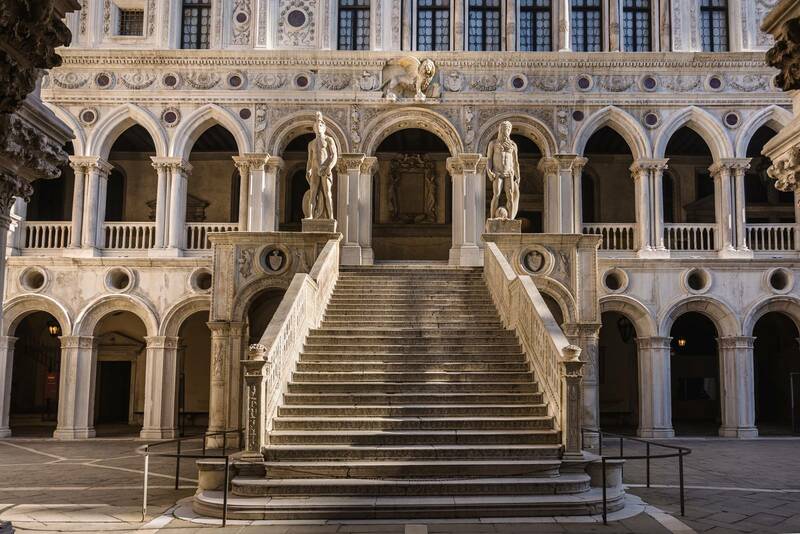 At the Doge Palace, go on the right side and enter from the fast-track entrance. Here you will skip all the line. 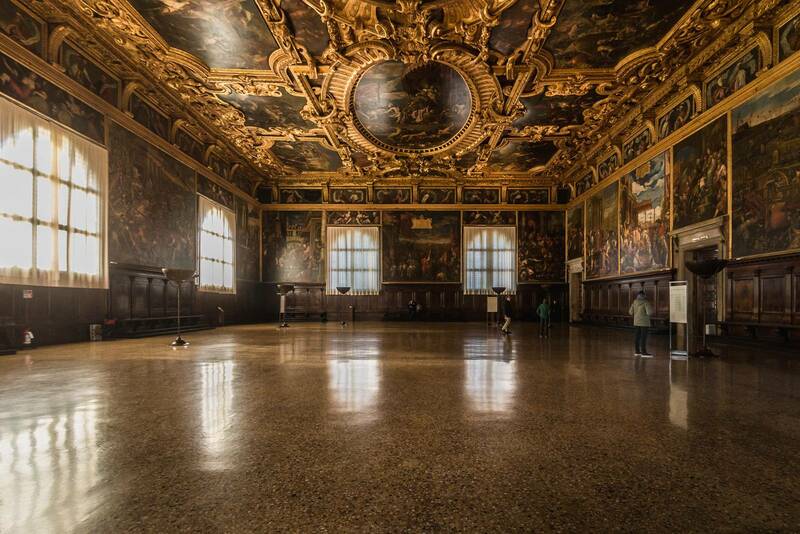 This ticket includes one single admission to the Doge’s Palace and the combined museums. 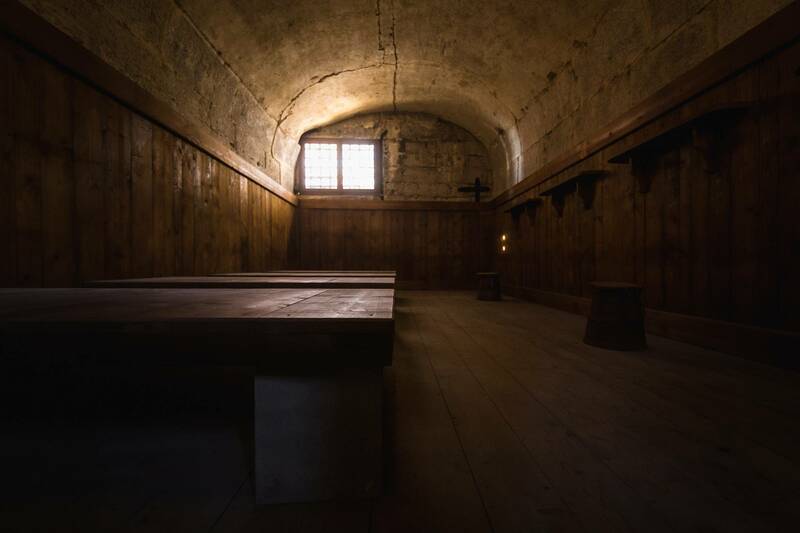 All museums could be visited in different days. The combined museums have different time of visiting. For security reasons sacks, bags or knapsacks are not allowed inside the Doges’ Palace (Free deposit inside). 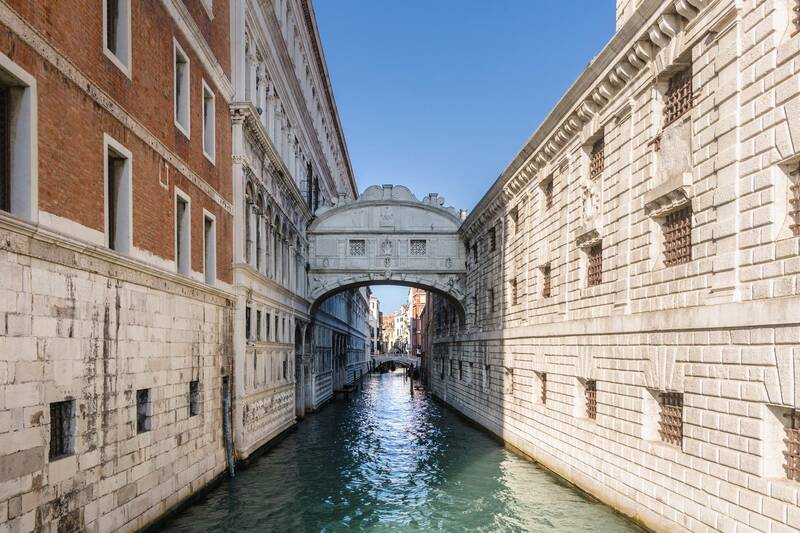 For general conditions refer to our brochure “Discovering Venice”. Take line #1 and get off at the “SANTA MARIA DEL GIGLIO” stop. Once you get off the vaporetto, turn LEFT and go straight towards the Accademia. After few meters you are in Campo San Maurizio. 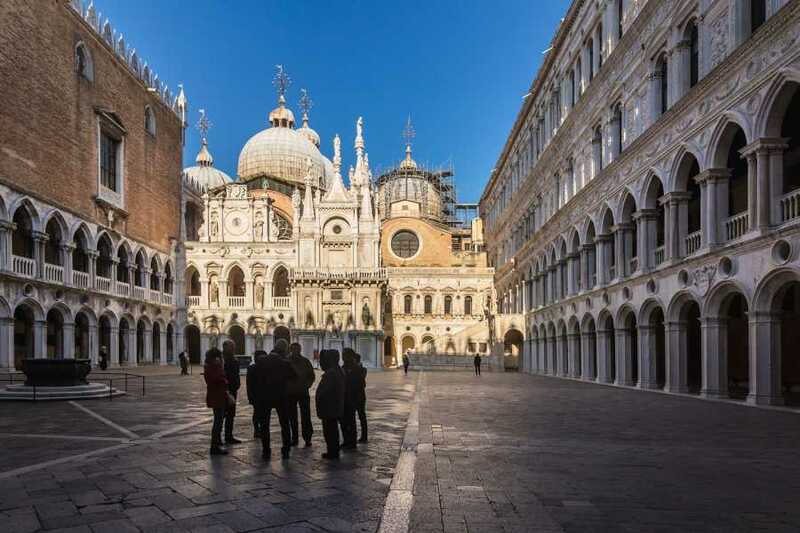 From Saint Mark’s Square take direction the Accademia, just 5 minutes walking distance and you are arrived in San Maurizio Square.